Home›PGD to BLV – Plan your perfect holiday getaway! 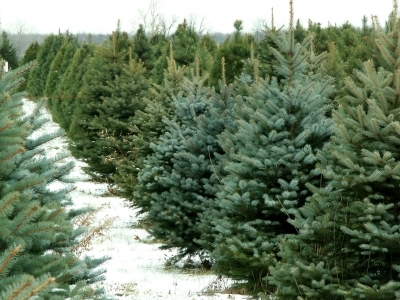 Search for the perfect Christmas tree in Eckert’s lush evergreen forest! Tis the season! Still looking for the perfect holiday getaway? Consider a low-cost, nonstop Allegiant flight to Belleville, IL! You’ll find Santa at Eckert’s Country Store & Farms, the largest family-owned restaurant and orchard in the United States! 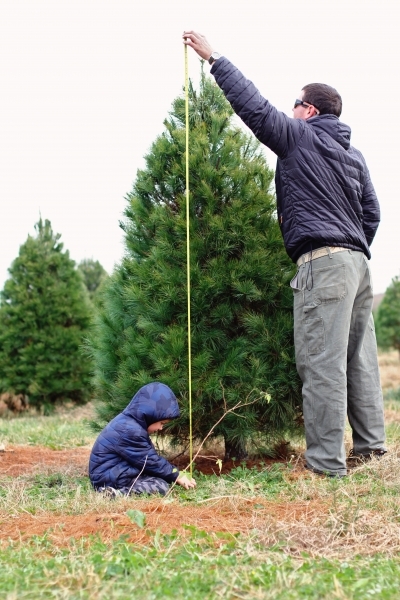 Cut your own Christmas tree with supplied saws and sleighs! Have breakfast with Mr. Claus and cut down your own Christmas tree here! BLV is also a major airport for travelers heading to St. Louis, MO. Watch the ball drop on New Year’s Eve in Ballpark Village! Adjacent to Busch Stadium, it’s considered the premier dining and entertainment district in the region. Use code “PGD” and receive $10 off your NYE Live! St. Louis tickets! Experience the Gateway City with a 630-foot ride to the top of the world-famous Gateway Arch! Then visit Saint Louis Zoo at night for the U.S. Bank Wild Lights, nominated as the Best Zoo Lights display by USA TODAY! Back in Belleville, tradition awaits at Hofbrauhaus St. Louis – Belleville. The city has a proud German heritage and this is the largest Hofbrauhaus in North America. Also check out The National Shrine of Our Lady of the Snows, Scott Field Heritage Air Park and more!